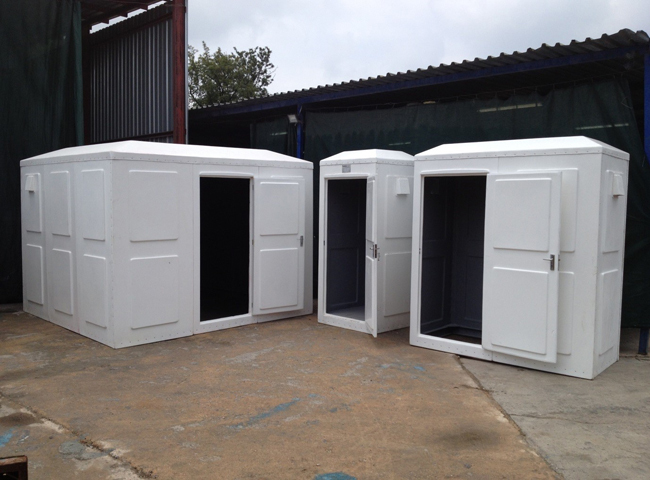 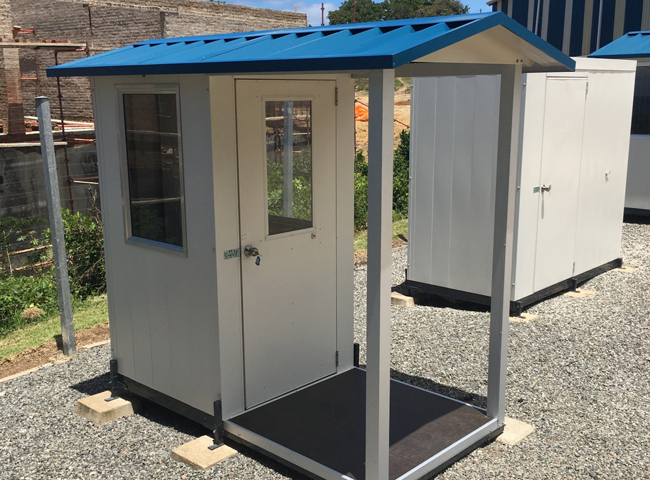 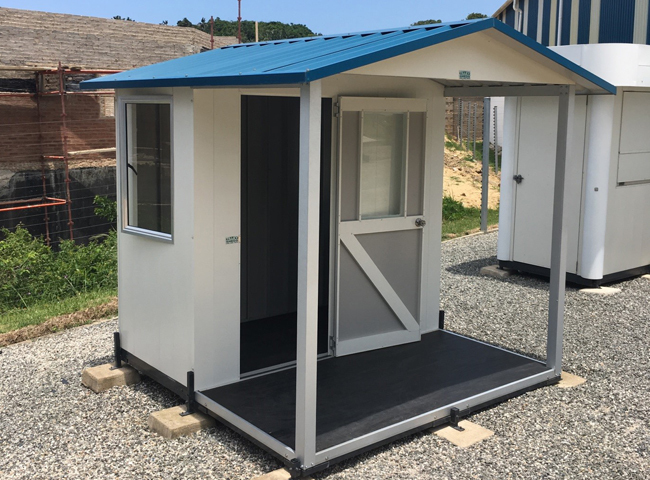 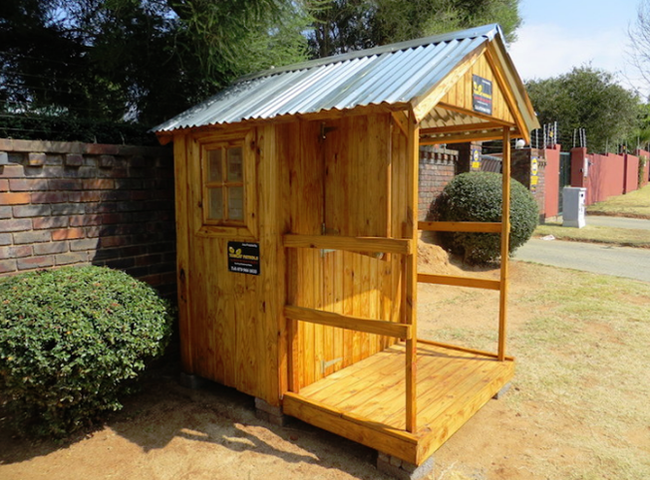 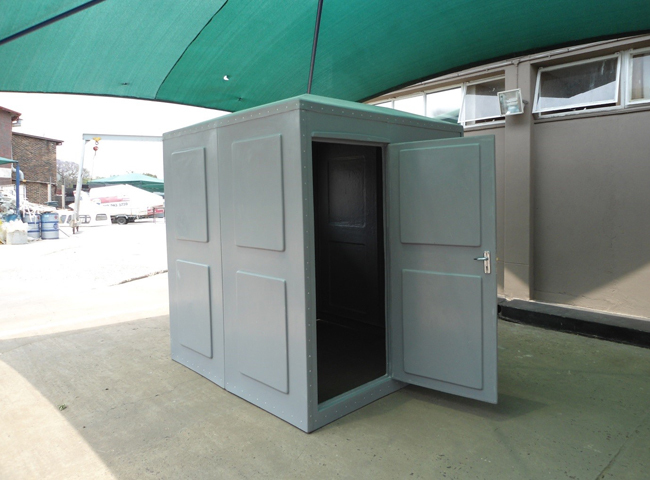 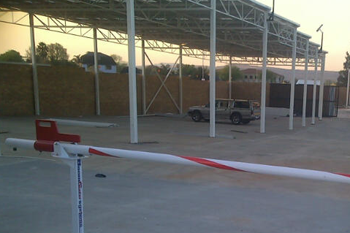 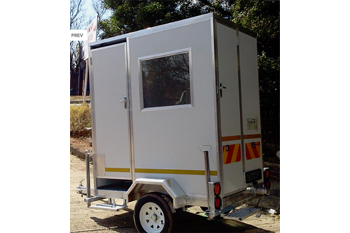 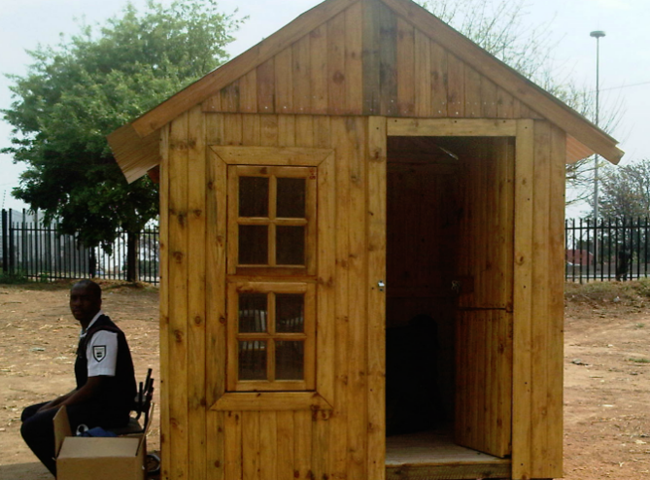 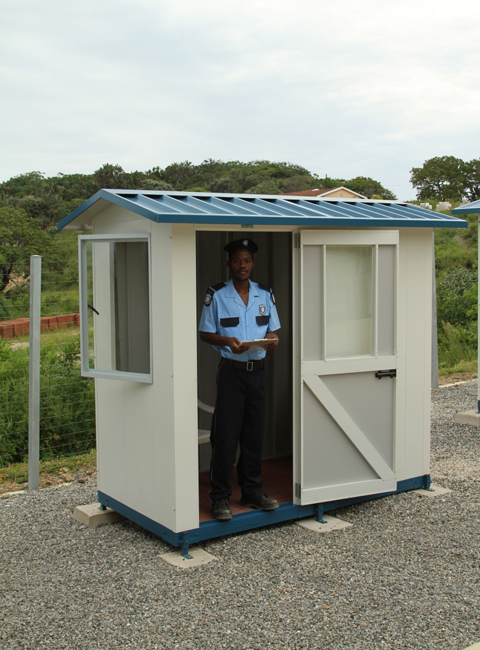 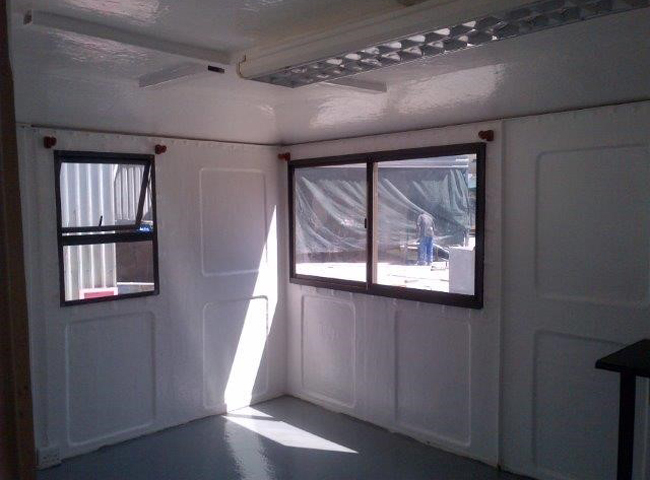 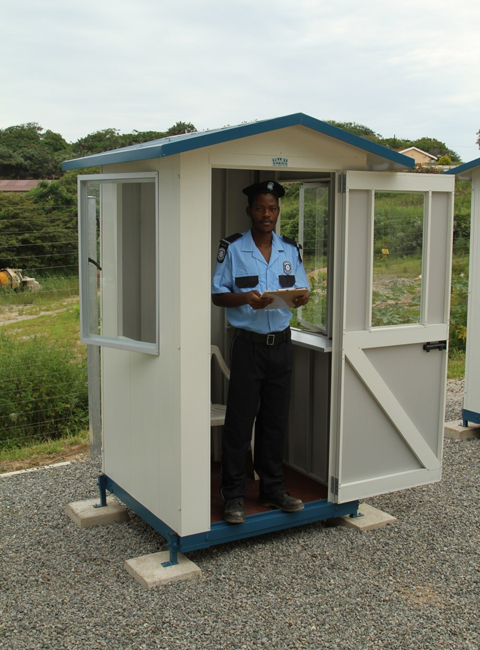 SHAWSON is your one stop supplier of Guardhouses in Africa, we have the biggest range of sizes and options. 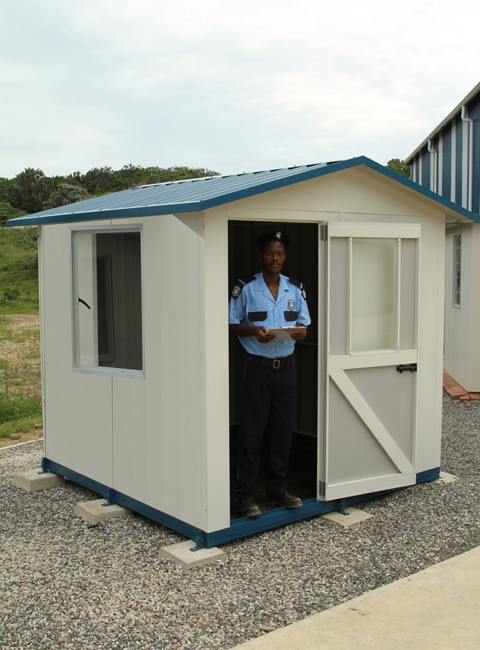 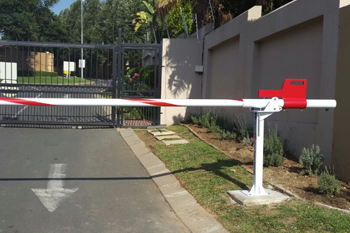 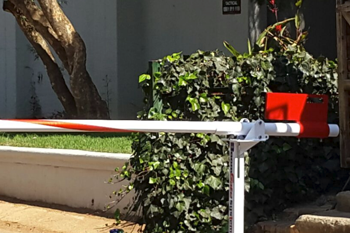 Please let us assist you with your requirements, from basic plastic ,wooden or the best- selling fibreglass guardhouses. 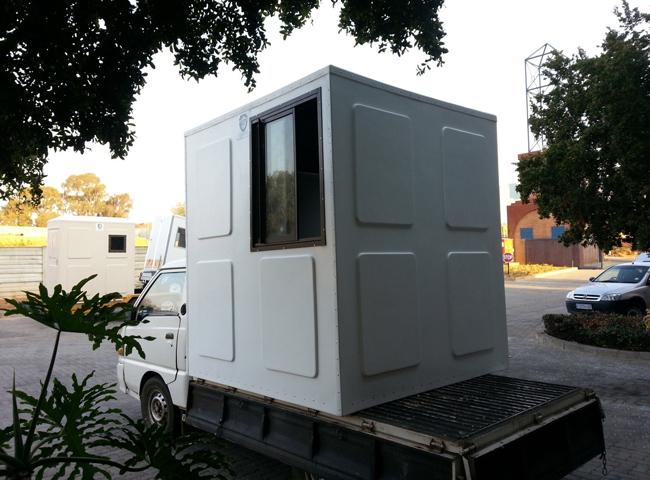 WITH 3 X NON OPENING PERSPEX CLEAR SHEETS SERVING AS WINDOWS. 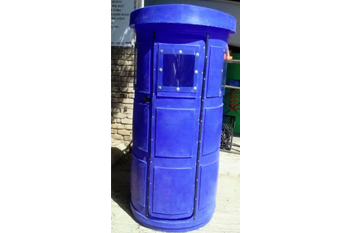 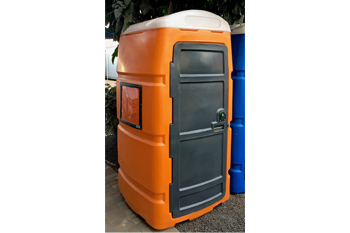 PLEASE NOTE THIS IS AN EXTREMELY BASIC UNIT,IT IS A MODIFIED PORTABLE TOILET SHELL, WITH THE DOOR CUT OUT OF THE BODY OF THE TOILET SHELL AND RIVETED TO THE BODY SO THAT THE DOOR CAN OPEN AND CLOSE.IT IS ONLY LARGE ENOUGH TO FIT A SINGLE PLASTIC CHAIR INTO. 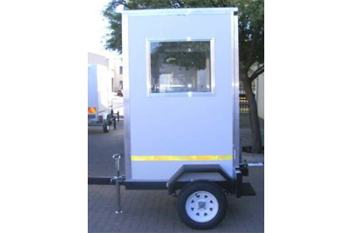 THE UNIT CAN BE LOCKED FROM THE OUTSIDE WITH A PADLOCK. 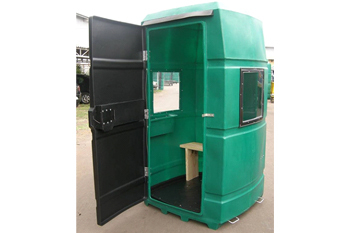 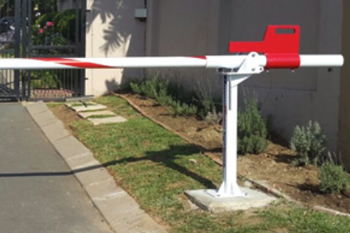 SUITABLE FOR A SINGLE TEMPORARY GUARD ON A BUILDING SITE, FOR EXAMPLE.